Wine has been an integral part of celebrations for thousands of years. Wine may be served at the reception, either to accompany the meal or for refreshment. Wine may be served at the rehearsal party. 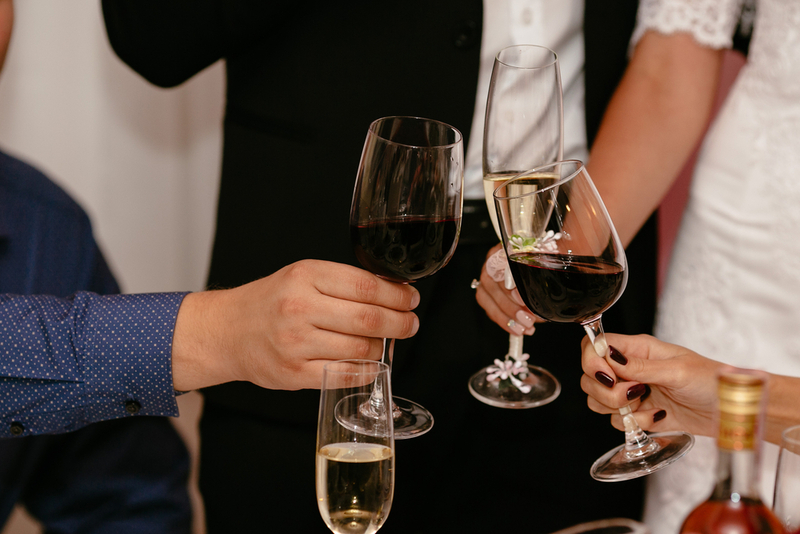 Wine may be used to toast the bridal party. Wine may be presented to guests as a ‘favour’ to commemorate the event, very much like the traditional slice of wedding cake. Ontario law allows family members hosting a wedding to make and serve their own wine at the event. You are not permitted to charge for the wine. If the event is at a private place (not a rented location) or residence then no Special Occasion Permit (SOP) is required. An event at any other venue will require a “No Sale SOP” for a nominal fee. Apply 30 days ahead for outdoor events, or 10 days in advance for indoor events. IMPORTANT NOTE # 1 You must ask, WILL THE VENUE ALLOW HOMEMADE WINE to be served. Some venues are more than willing to do whatever you wish and may even obtain your Special Occasion Permit. Some halls will not allow you to bring in wine, some do not allow their staff to serve your wine, and others may charge a corkage fee per bottle opened. On THE DAY you need as few challenges as possible. Keep things simple and keep choices to a minimum. Wines to be consumed at an indoor reception with a meal should include one dry red wine and one dry white. Choosing a blush as a third wine is an option if you really think it is necessary. Not having a dry red or a white wine at the table will disappoint some guests. 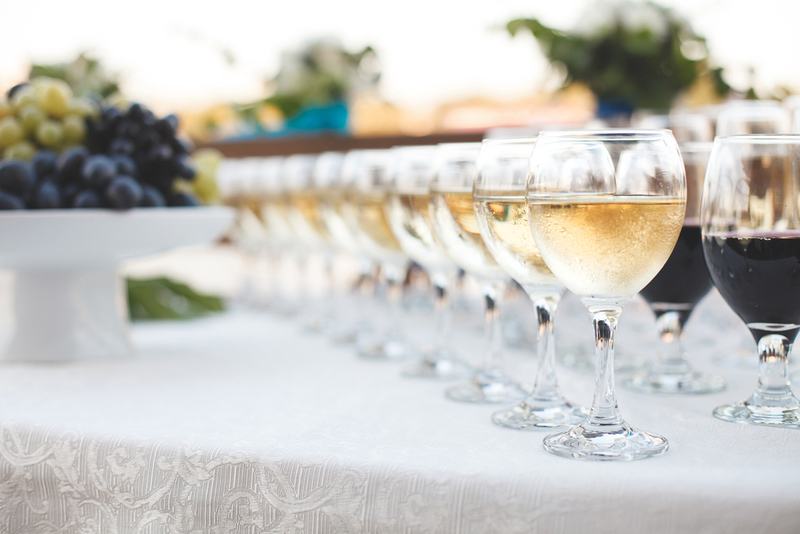 Choosing wines for an outside reception is an opportunity to be more adventurous. A well chilled Peach or Strawberry will delight your guests. We still recommend a basic dry red wine and a white wine. Plan on ½ a 750 ml bottle of wine per dinner guest. You may need more if the event is outside, will run late, or if no other beverages will be served. If you are being charged for corkage then consider 1.5 litre bottles. The favourite red wines for weddings are Merlot, Cabernet Sauvignon, or a Merlot/Cabernet blend. Favours – These token gifts are presented to guests as they leave or are placed decoratively at each place setting. Usually 375 ml bottles are used. Choose your favourite wine or consider an ice wine. • We prepare a quote for the cost of your wine in advance. • We have Special Occasion Permit applications on hand. • Together, we choose and start your wine, bottle and cork it. • We provide decorative capsules and design custom labels. • Your wine will be ready on time. • You will be proud to serve your wine.